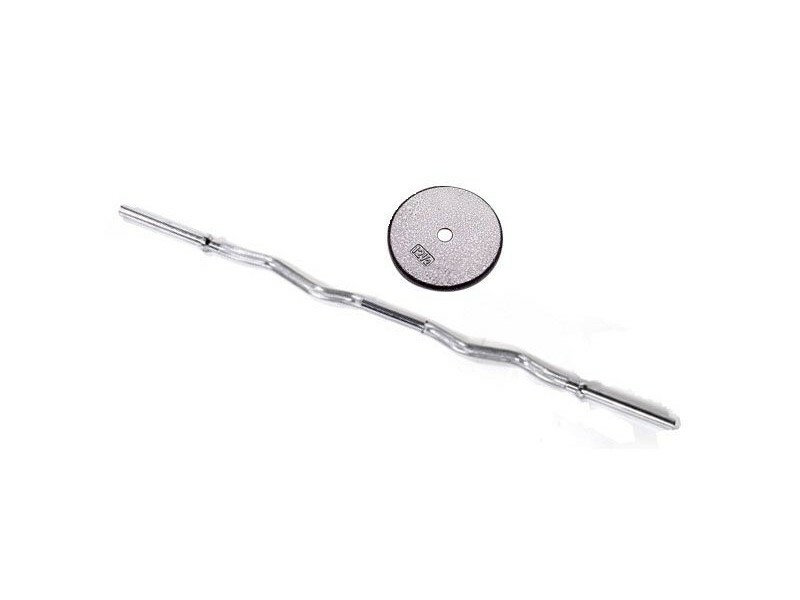 CURL BAR: This 47 inch standard curl bar is designed to increase upper arm mass, strength and definition. This bar isolates and intensifies development of the biceps and forearm muscles. Threaded ends with star spin-lock collars included. 31 inches between inside collars. 12 lbs. WEIGHTS: 1-inch hole diameter. 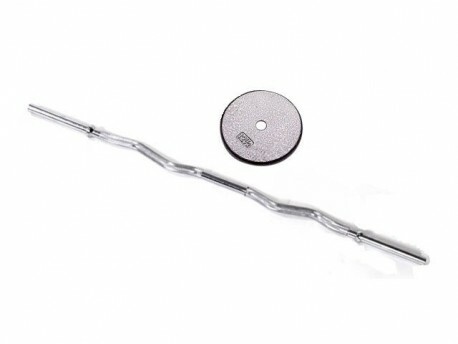 These regular gray lifting plates are cast from only the best ASTM Grade 20 iron. These plates are ground completely around the edge of every plate leaving no rough edges and leaving it safe for the user and floor. They are coated with a durable resin based paint and baked for one hour to assure a finish that is chip, abrasion and corrosion resistant.